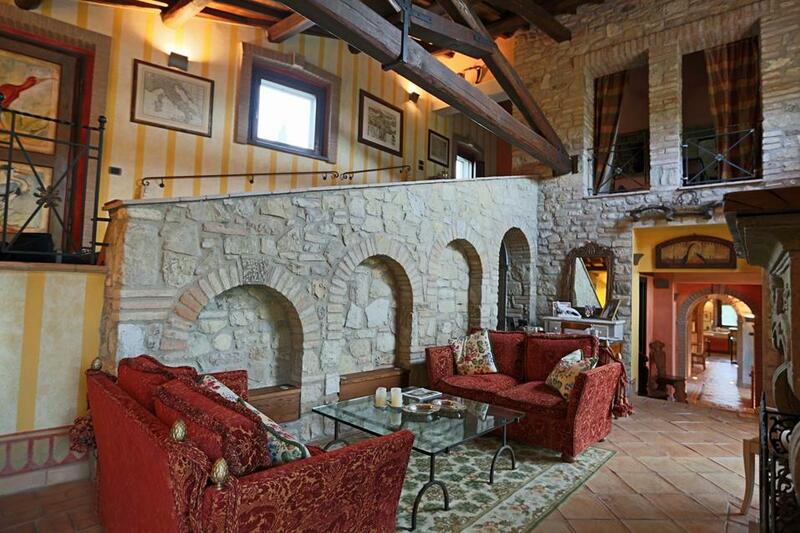 Four bedroom property for sale in Umbria. 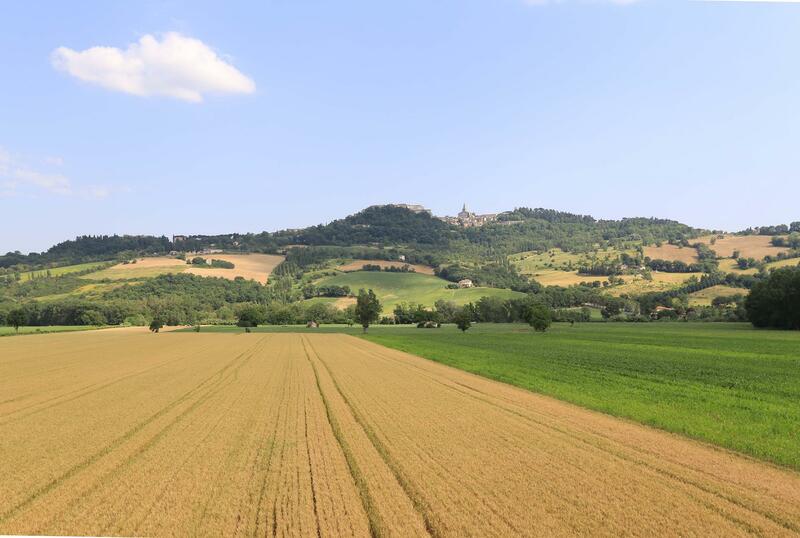 WITHIN EASY WALKING DISTANCE OF TODI. OLIVE GROVE AND SMALL VINEYARD. 12.5 HECTARES OF LAND. Ex convento in vendita in Umbria. Quattro camere da letto e facilmente raggiungibili a piedi di Todi. Vigneto, oliveto, 12,5 ettari di terreno con spazio per una piscina. Vista spettacolare. 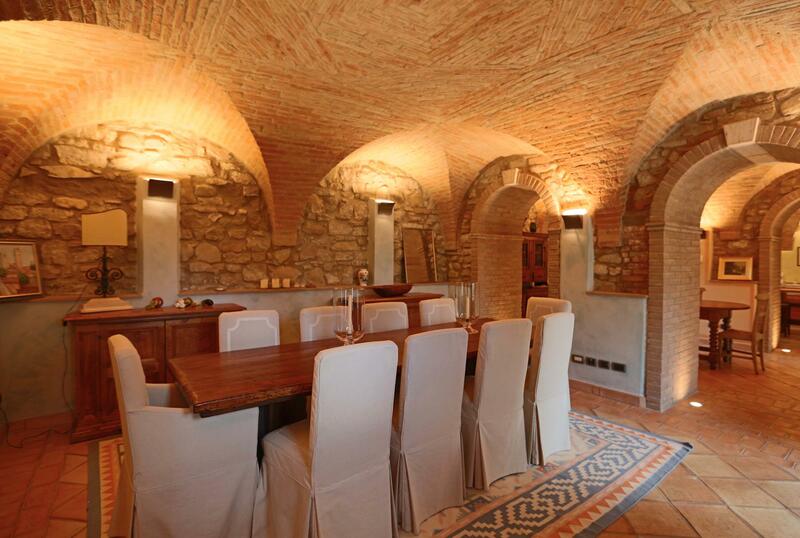 A beautifully restored ex convent located only a short walk from the city of Todi, it is only 500 metres to the escalator that takes you right into the city. 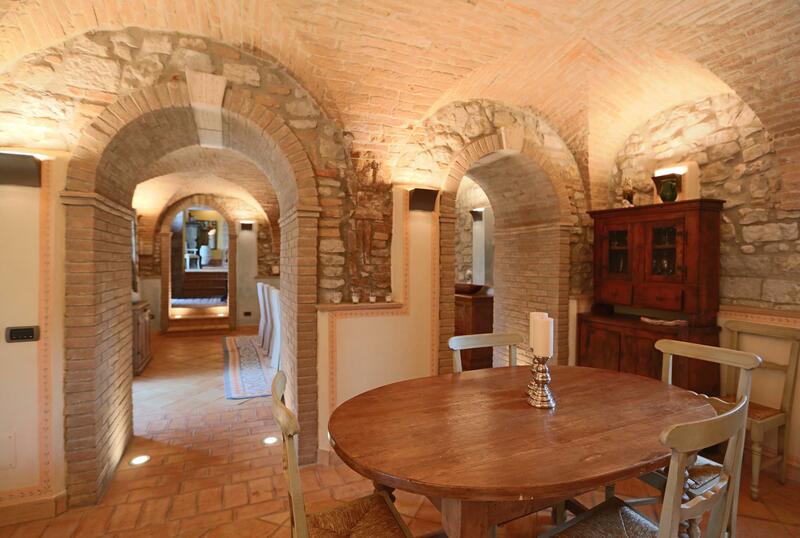 Access is by means of a private drive through a 16th century stone gate-way to the front of the property. The main door opens into the double height hallway that incorporates the original exterior sloping stairway. The main reception area has an antique fireplace and French doors to the east with stunning views of the city walls of Todi. 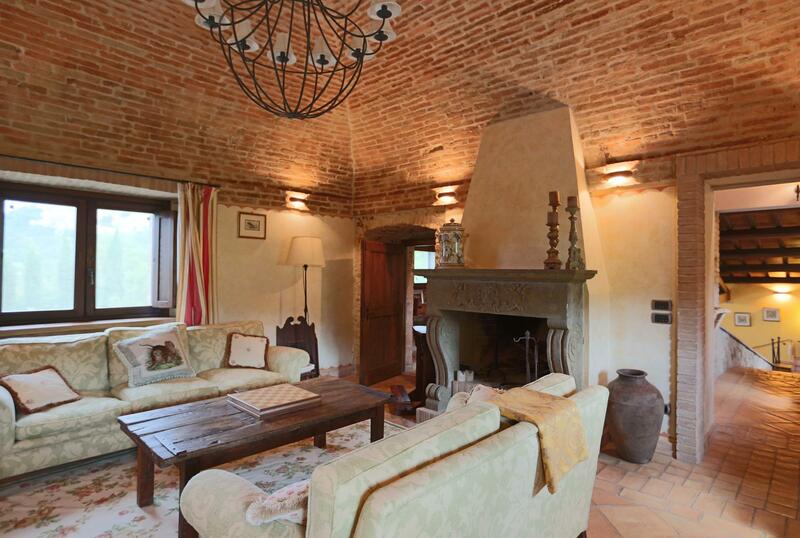 Through the main reception one can see the fabulous vaulted brick ceilings of the dining room which continue through the breakfast room to the fully fitted kitchen. A spiral staircase winds down to the wine cellar and large storage area that could be transformed into a gym or cinema room. 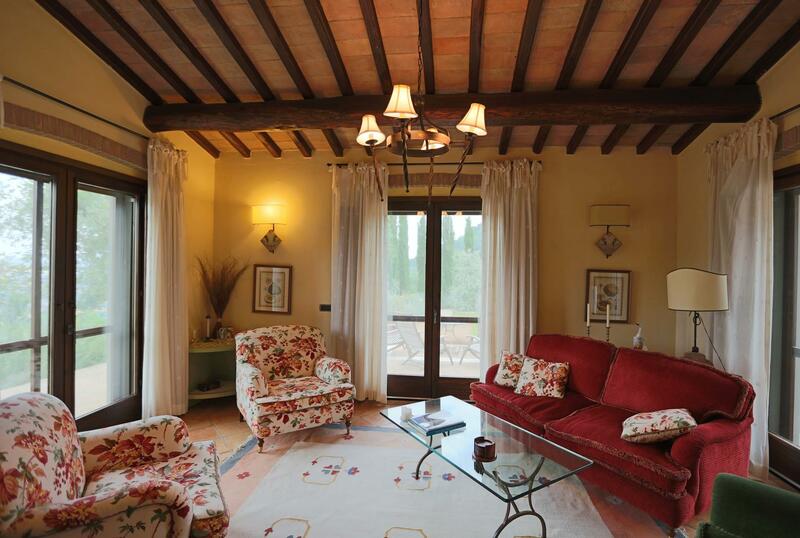 Next to the dining room is a TV room with original chestnut beams and three French doors opening to a pergola and terraces. Additionally, on the ground floor, is a lovely bathroom. 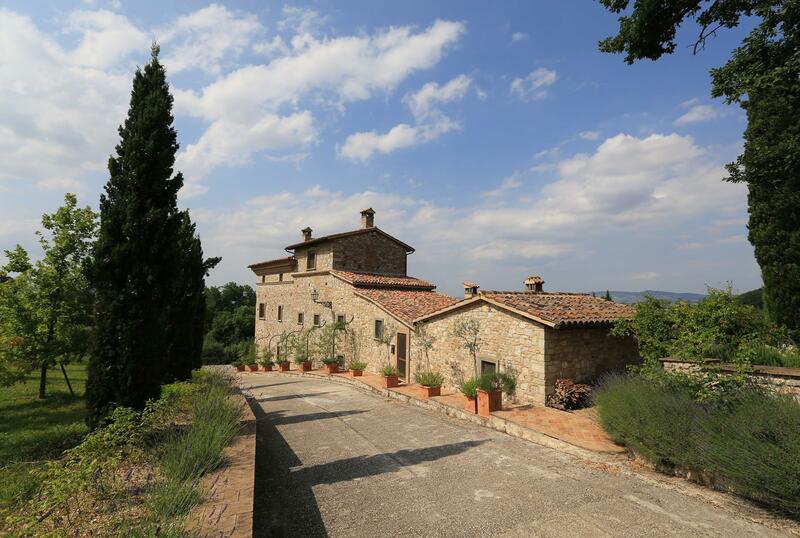 On the half landing is the first of the fully fitted bedrooms with private bathroom en suite, fireplace, and French doors leading to the outside terraces with views of Todi. 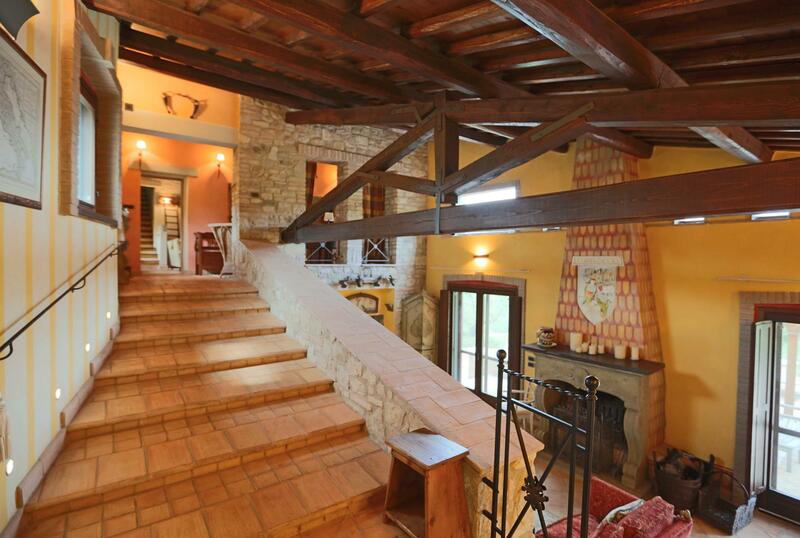 The impressive stairs lead you up to an open-plan study with views over the living room. 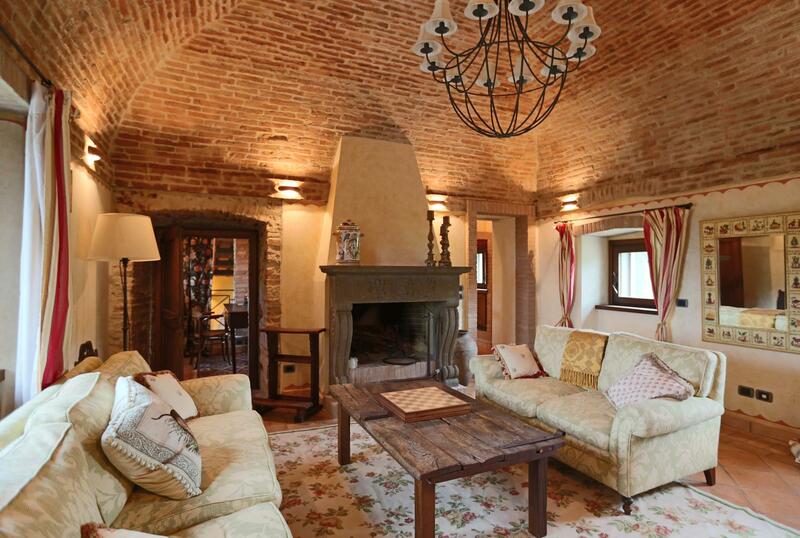 Continuing through another original brick arch one enters another reception room again with an amazing vaulted ceiling and an antique fireplace. The master bedroom is also on this level as well as and en suite bathroom and dressing room it also has a fireplace. 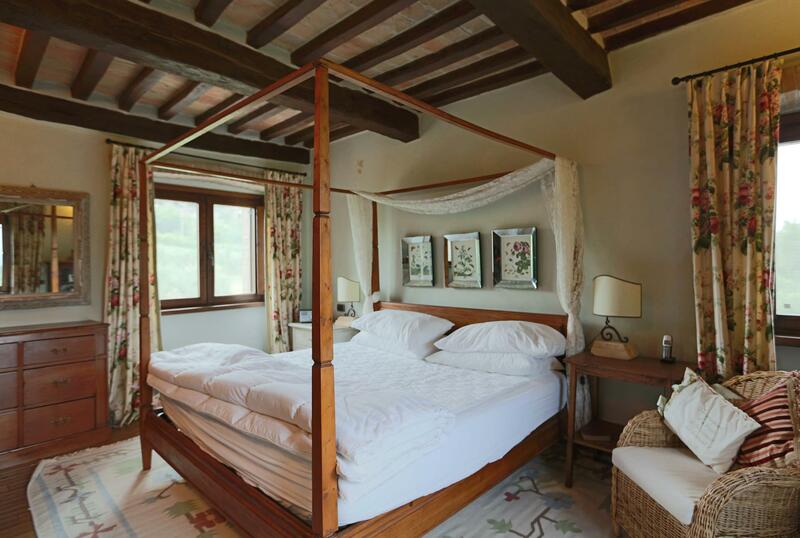 The bedroom has windows on three sides with views to Todi on the East, to the Monastery on the West, and to the Tiber valley and Asissi to the North. Stairs lead to the original tower where there are two double bedrooms, one with twin beds, both with fully fitted en suite bathrooms. 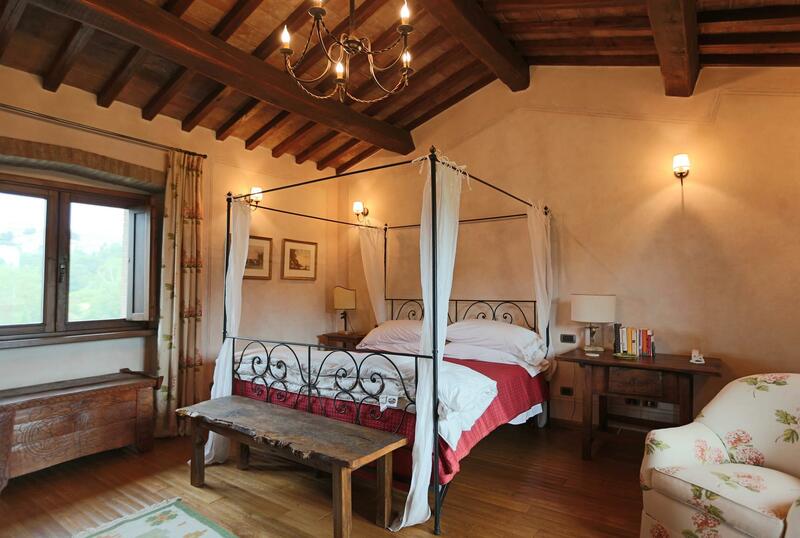 The third floor bedroom has a fireplace and amazing views of Todi and beyond. Il Conventaccio boasts high speed Internet, wi-fi in most areas and outside, phone points, satellite TV and a sophisticated security system. The building is listed and therefore is deemed to be of cultural significance. 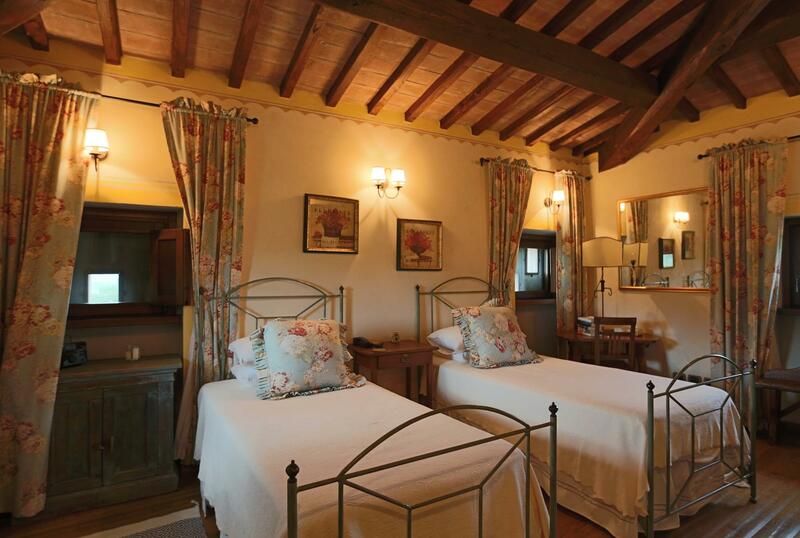 The terracotta floors are all handmade as are the cypress floors in the bedrooms. Where possible all the original features have been retained. 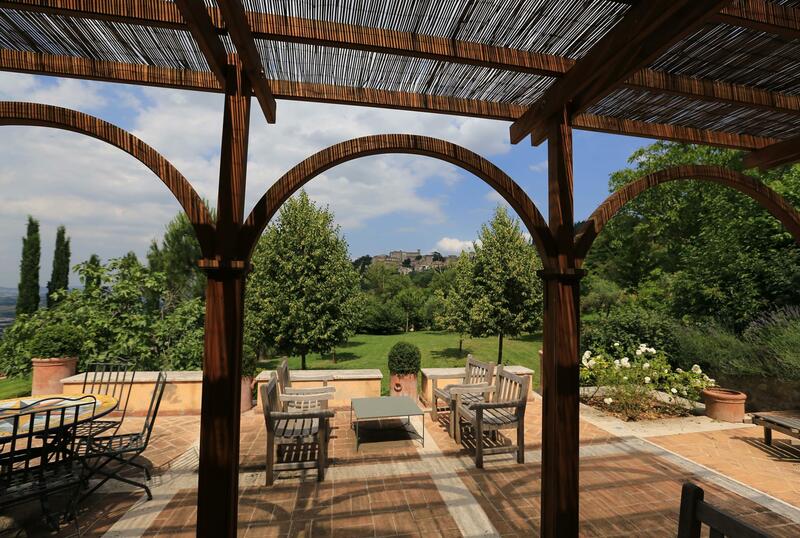 Externally there are ample seating areas with teak pergolas, mature plants and an ornamental water feature. The whole building has been subject to an extensive restoration project. All the services have been upgraded and the electrical system is computerised. 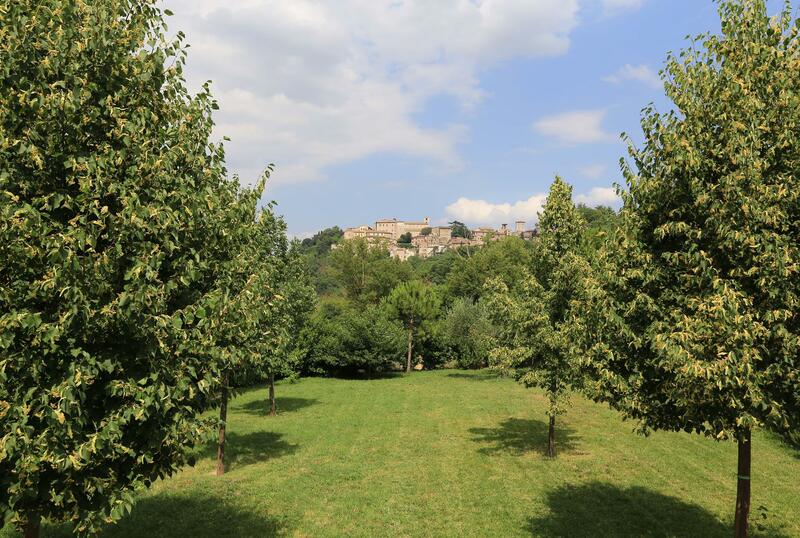 The property is surrounded by 12,5 hectares of land with gardens, lawns, 300 olive trees (making 250L of virgin olive oil a year), a small vineyard and agricultural land. 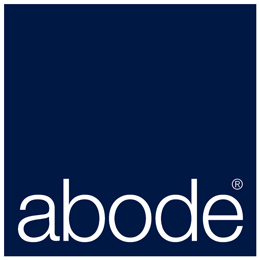 The property can be accessed via private electric gates or a service entrance. A planning application for a swimming pool has been approved.